The cabin was very comfortable. Location was great. Private feel with Incredible view! This cabin has all of the essentials! At a girls weekend, I slept comfortably in one of the two twin beds in the second bedroom. 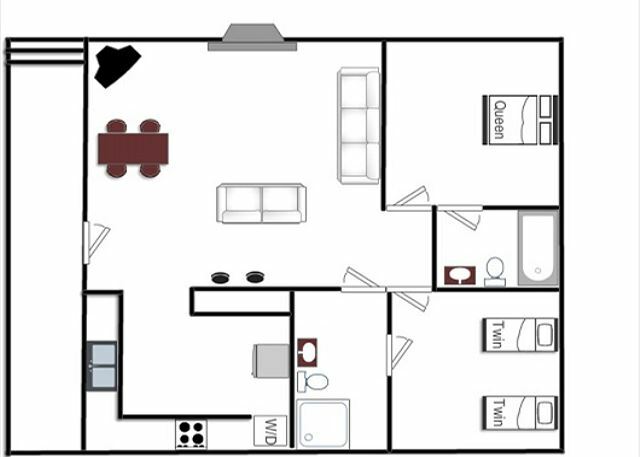 Kitchen and living space was great, however, you'll want to spend all of your time outdoors! This cabin had a great view (and access) to the Frio River. The grounds were neatly kept with pleasant walkways down to the water. Will definitely be back in the warmer months with my family and more girl trips! Family had a great time spending the weekend at this resort. Its like living at home but with a way better view, this place had it all. I didn't miss my football game and the wife was comfortable with the heat/AC and comfy beds. This was a great girls' trip to the Frio. The river was down a bit but made it where we could just sit at the river's edge or in the river itself right outside the cabin. The setting is beautiful and we thoroughly enjoyed our time. The cabin was stocked with necessary kitchen equipment and plenty of room for hanging out both inside and out. I have been coming to the Frio river since I was 7 (now 62). I love it. I have to say the Beach club cabins are the best for location. We have never had any problems until this year. The drunk adults decided to take off swim suit bottom (2men 1 woman) and show everything as they went off the swing. We ask them to stop and they were very belligerent. We called the office and it was taken care of immediately. As a side there were young children, boys and girls there. The owners of this property do not put up with anything, all rules are posted and adhered to. That is one reason we love to rent from them. 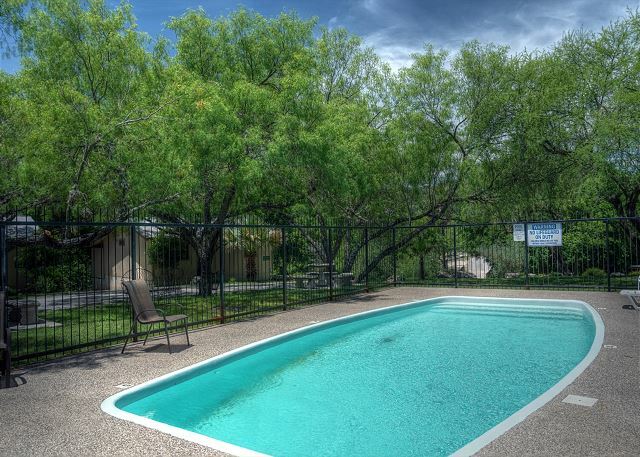 I would recommend this property to anyone wanting to rent on the Frio river. We have stayed at many other of their rentals but this is the best. This is a great place for families, couples or anyone who just wants to get away for some fun or relaxation. Thank You for your review! We are grateful for your feedback and we hope that you choose Frio Country Resort for your future stays on the Frio! 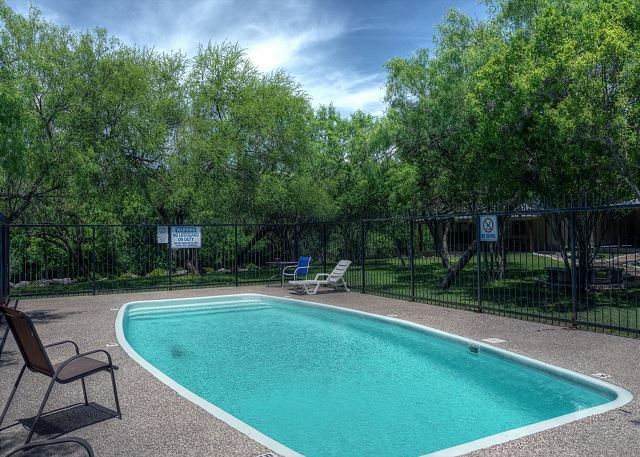 Thank you for continuing to choose Frio Country Resort! We always love when y'all visit! Very nice. Wonderful place to stay. From the moment we arrived and during our stay we enjoyed the stay. Other than the two guys staying in Cabin #2, who at 1700hrs came to ask us to lower our music while we were cooking outside. The music was playing of a small six inch speaker, yet we could hear the two of them yelling inside their cabin while watching football. How ironic that they would complain but we did lower our music which by that time we could barely hear it by the pit. Our second year here and made reservation for next year. Just the most wonderful place. People friendly. Great! This is our 5th or 6th year and we love it! We had a wonderful time as always! We have been coming there since 1994. My grands have been coming since they were 4 months old and now they are 10 and 8. So glad they can experience what their parents did in 1994! Nice cabin close to the river. It is always great. There are some slip ups along the way, but most of the time, problems are handled in a quick, professional manner. Our family has been coming to this area for some 50 plus years. It wasn't always Frio Country, but some of the other places in the Leakey/Frio area. This past summer, we stayed at the Beach Club 1. Everything went fine until some river floaters decided to descend on our area where it gave us access to the river. I alerted the office, they came by immediately and handled the problem professional, and the floaters left. Most of the time, our cabin or house is just fine. This year, we had a few plumbing issues, but notified office. They immediately sent someone to solve the issue, and it was cleared up. We always make reservations for the following year, and this was no exception this year. See everyone next year in Frio County at Beach Club. Loved it, best cabin available with the best view! Loved our beautiful cabin. It was so peaceful and just a fantastic view. Loved the front porch. I wish we would have had more than just two nights there. The pictures just don't do the cabin justice. Our grandsons enjoyed the pool. Will be going back again soon for a longer stay. Frio Country is the best. Awesome getaway. The staff was very accommodating and the cabin/s met all our needs. Beach Club on the Firo Rocks! The cabin is wonderful, faces directly onto the Frio river with gorgeous Cyprus trees. The sounds of the water falls is magical. The cabin is very comfortable, modest kitchen, two bedrooms and two bathrooms, great fireplace. There is a nice swimming area on the frio river, a small concert landing area, a rope swing off a grand cypress tree. I swam even in November and although the water was cold it was still very tolerable and very refreshing. We also "golfed with deer" next door at the country club. twilight golf starts at 2pm and it only cost $35 with cart, and we were able to play 18. We climbed Old Balde at Garner State Park, The park is awesome with time of yeat with the leaves changing colors. Could have not asked for a nicer stay. From the weather to the surrounding, were nice. Had rain one night but overall it was very nice to experience nature at a calm change. Our stay in Beach Club was awesome! It was a very enjoyable stay at the Beach Club 01 Cabin. Another great year at The Frio! We had a fantastic time! This was our second time staying in this cabin, and we absolutely love it! The water was so nice, my son caught his first bass just steps away from the cabin. Overall it was a wonderful experience and plenty of good memories made. Awesome time! Clean, spacious cabins. Definitely coming back! This was our first year to join our group of friends that have been visiting Frio Country Resort in the Beach Club cabins for 10+ years. We were very pleased with the size of the cabin, easily sleeping our family and guests. The Frio Country grounds were beautiful. The waterfront was beautiful with the terraced grass waterfront areas, rope swing, and access to the river. Floating the river with our group was easy, with either entry or exit at the property. The facilities were clean and well maintained, and the amenities were great. We had a grand time! The cabins were excellent. The tubing was great! The proximity to the river was awesome! We always love our family trip to the Frio which we do with family.Love all the toobing, swimming,fishing, etc. Our family consists of about 32 folks all renting various cabins in the Frio Country. We've been going for years, and will continue doing this. We've stayed in the Beach Club, and our cabin is right along the Frio River which is short walking distance for all the activities. Thank you for providing a place to have wholesome fun. From the get-go, it was wonderful. Nice weather, flowing river, no interruption from wedding party, and of course we can not leave out the club house is fabulous. Looking forward for the next booking but preferably during off season. It was just great. It would of been better if you guys were pet friendly. We just stayed April 10/11 with a groupon deal. I think there was no one else there near us, so it was really quiet and private. The river was a little cold because of the rain coming in but we were bold enough to tube the river still! It didn't rain until later that evening. The interior is much more appealing than the exterior. We stayed in Beach Club 1, it was very clean, it overlooks the river, has plenty of seating space, picnic table inside and outside and then additional seating outside. Charcoal grill outside, BYO charcoal/lighter fluid. The kitchen is fully equipped with utensils, pots/pans and dishes. It even has a stackable washer and dryer Which was a surprise to me! My bed was super comfortable as well as the pillows, but they only provide two for the queen bed. I don't have any complaints! We should have asked for more towels though :-/. Overall a really good time! I would definitely recommend and would Even pay full price for a night next time! Relaxing, refreshing, everything just right. Wonderful Girls' getaway, with shopping and restaurants in nearby Uvalde. This was our second year vacationing in this cabin and we loved it! We will be back for many years to come. The staff is so friendly and helpful. We had a issue with our refrigerator and less than an hour after we called we had a new fridge delivered. That is great service! Beautiful cabin and location !! Weather did not cooperate but can't control that! We will be back! Thank you for the positive review! Frio Country would love to have you back for your next trip to ConCan!! Love staying here at the Beach Club! The view is amazing, it is peaceful and the cabin is perfectly snuggled along the banks of the Frio!